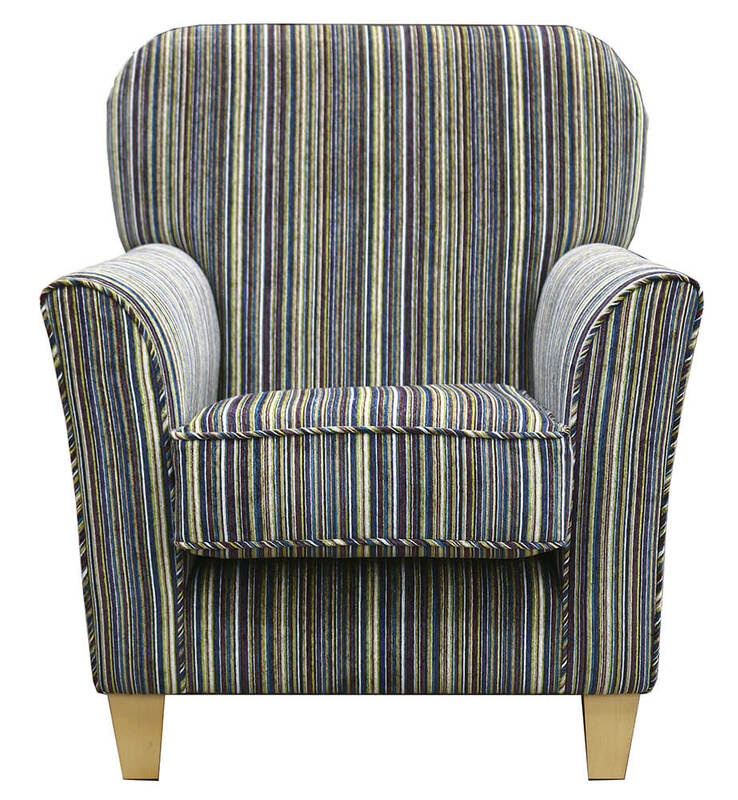 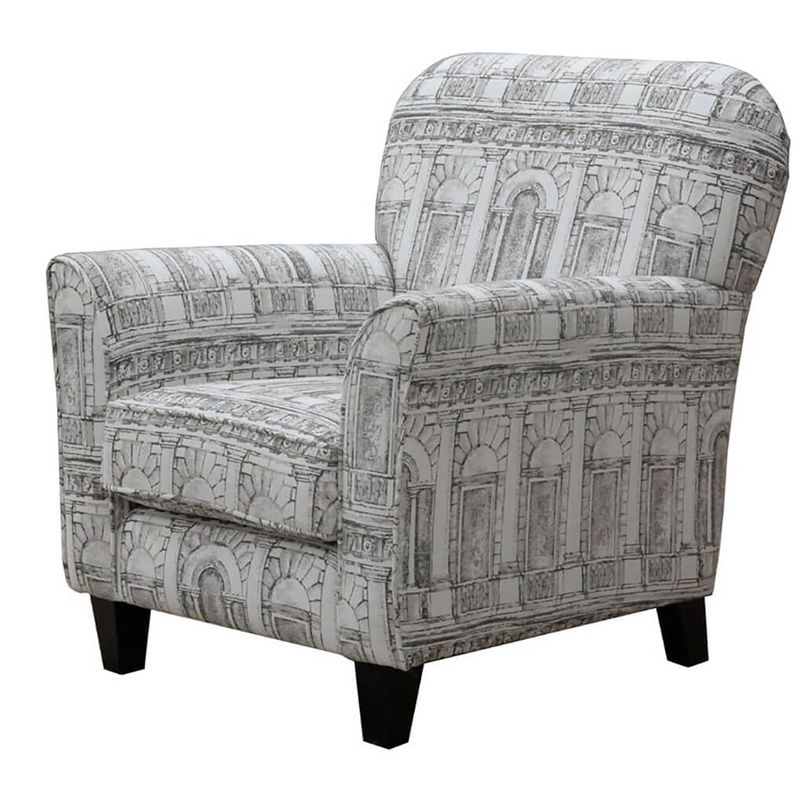 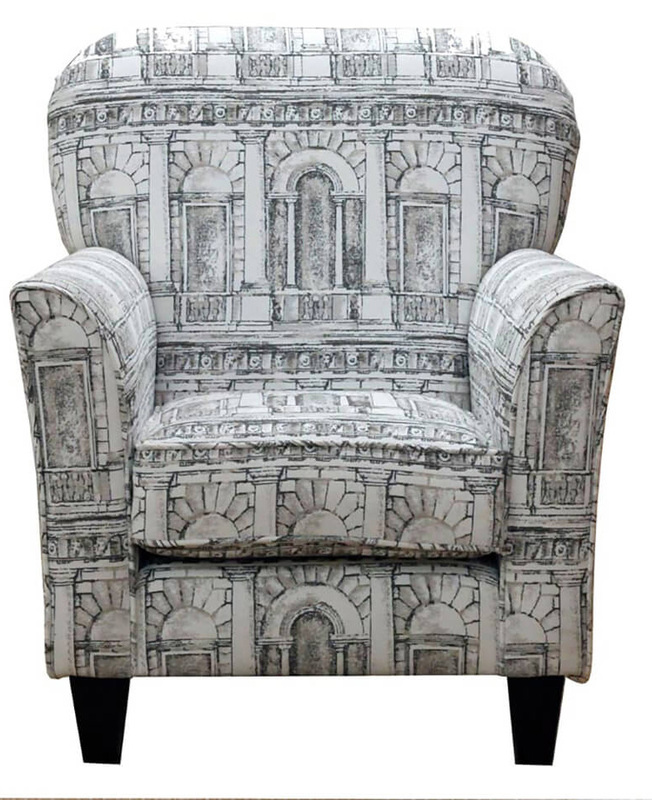 The Dylan chair is a most understated looking chair, but boy is it comfortable ! 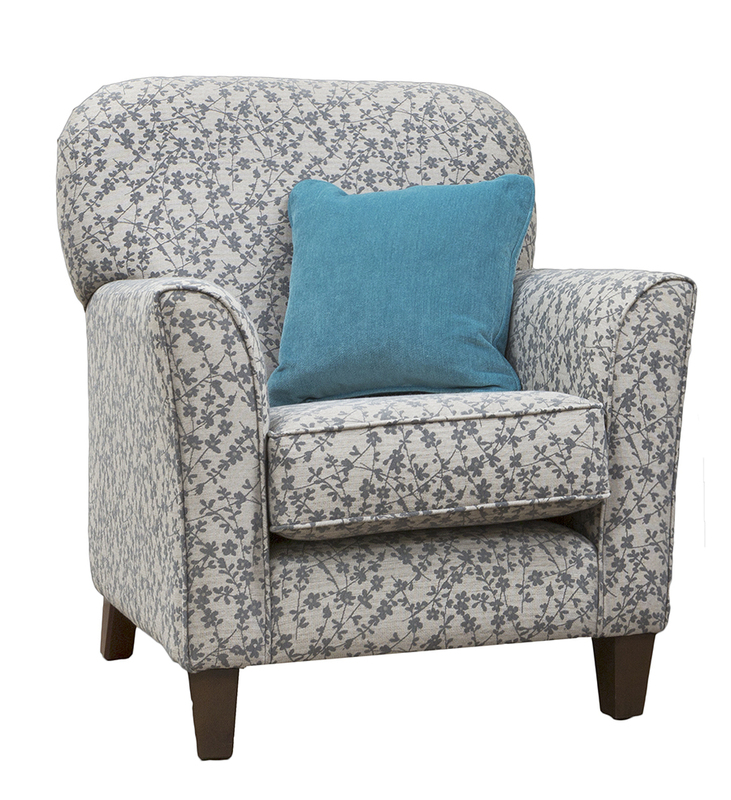 This chair has a compact width, only 32” wide, so it will fit into the narrowest of spaces. 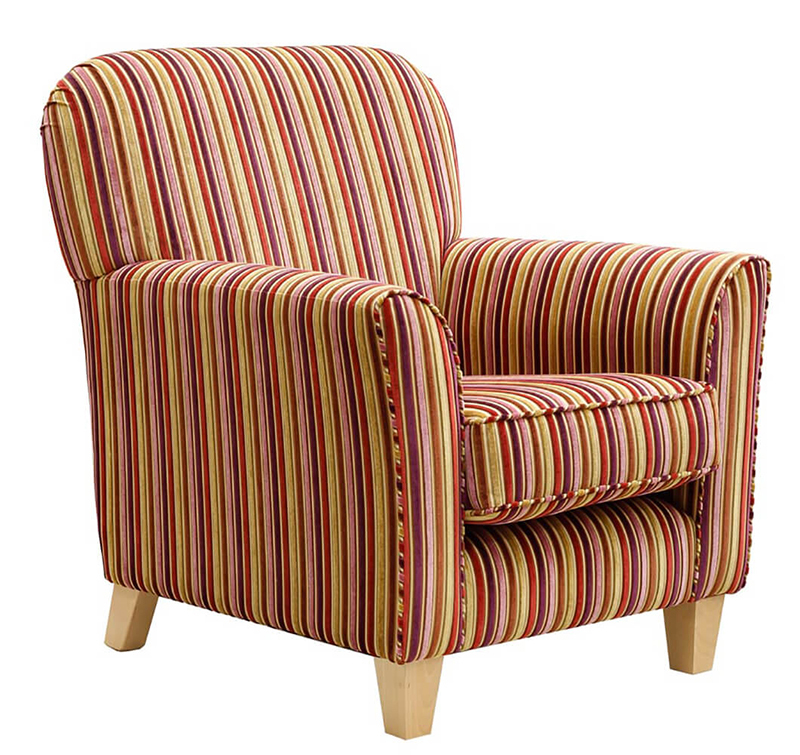 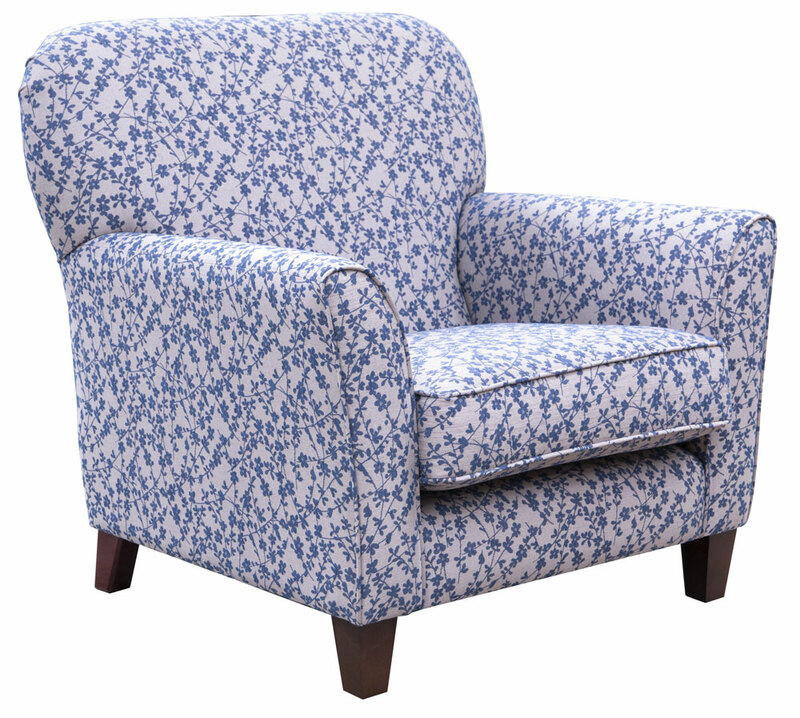 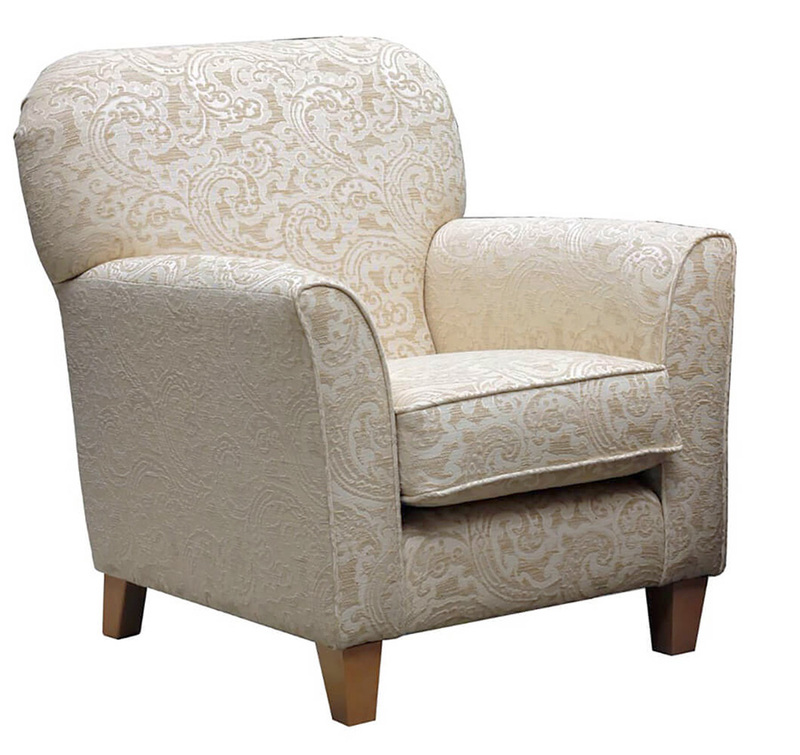 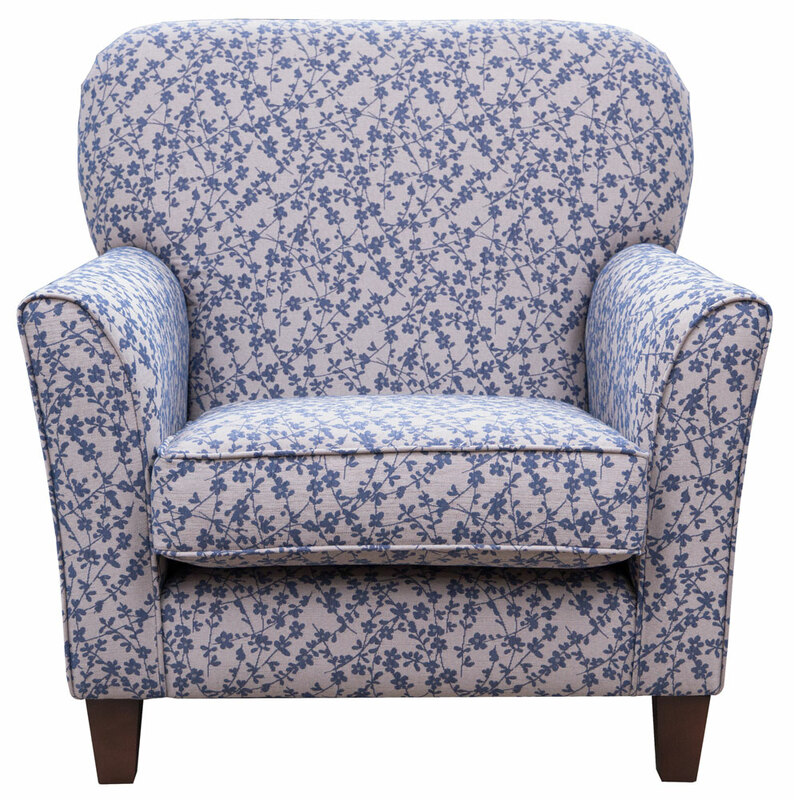 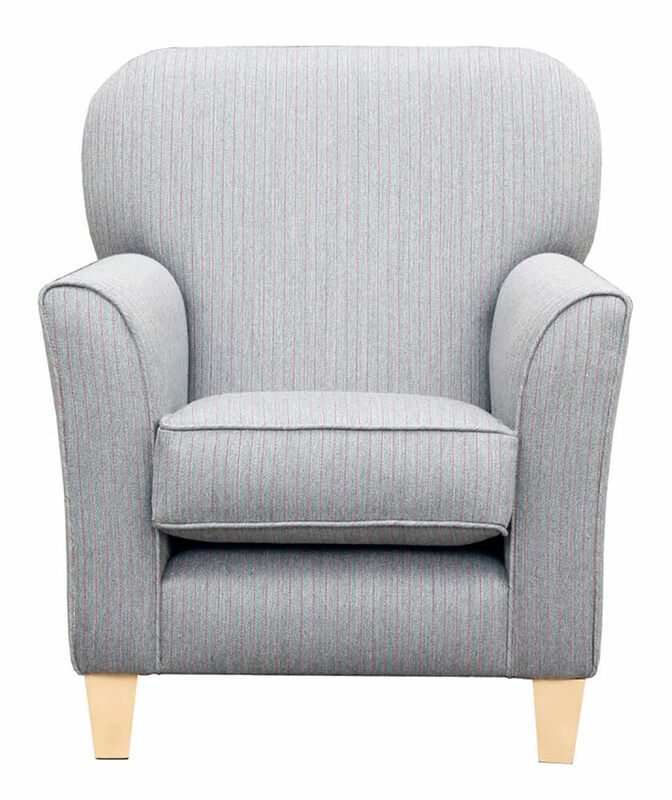 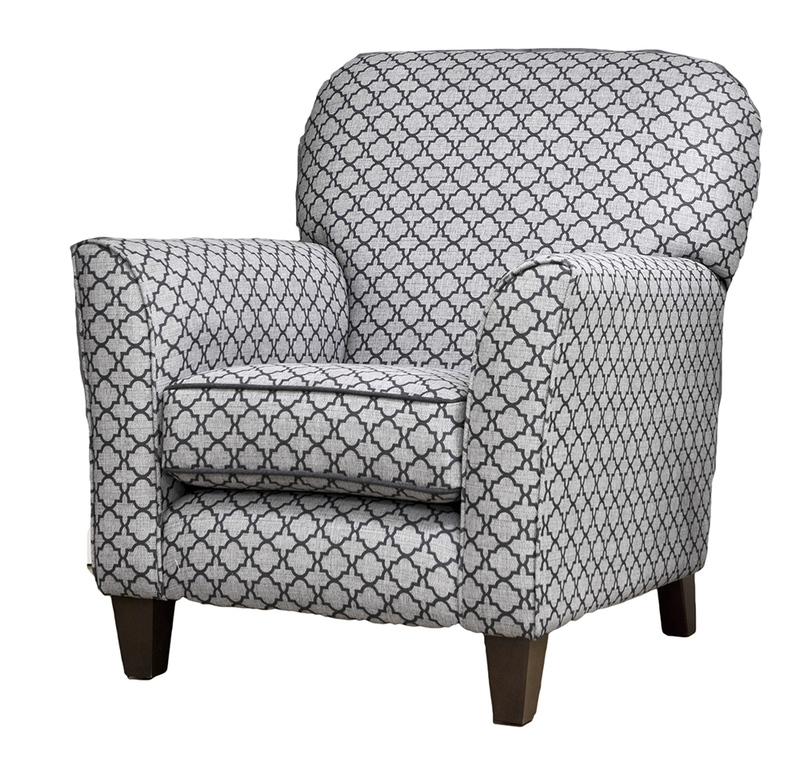 The depth of the Dylan chair is 33”, and it has fixed back upholstery, so you get a very comfortable depth in a tidy chair. 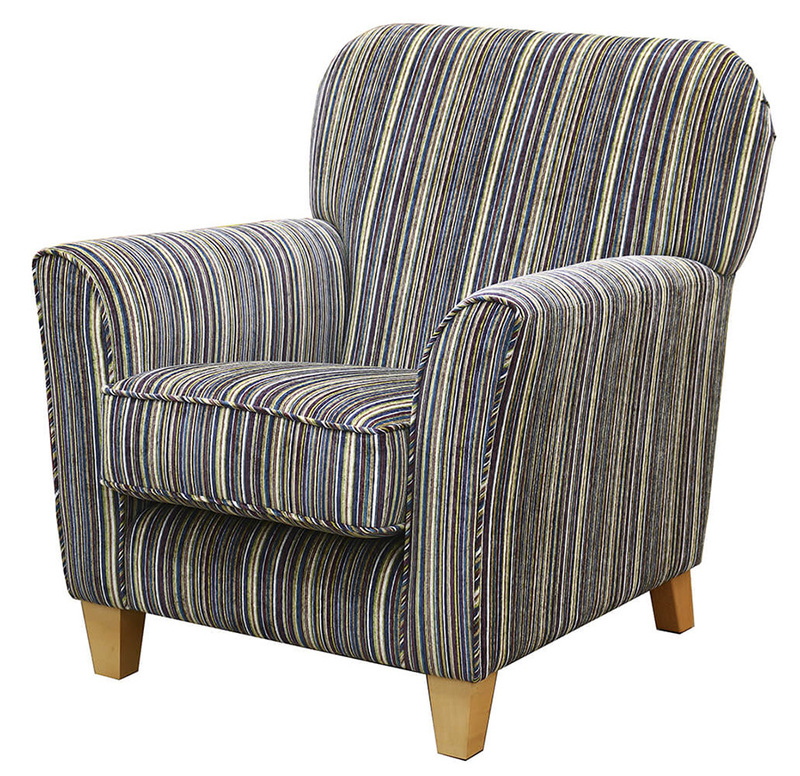 The Dylan legs are chunky and modern, and they come in a light or dark finish and as usual, available in any fabric from any of our collections.